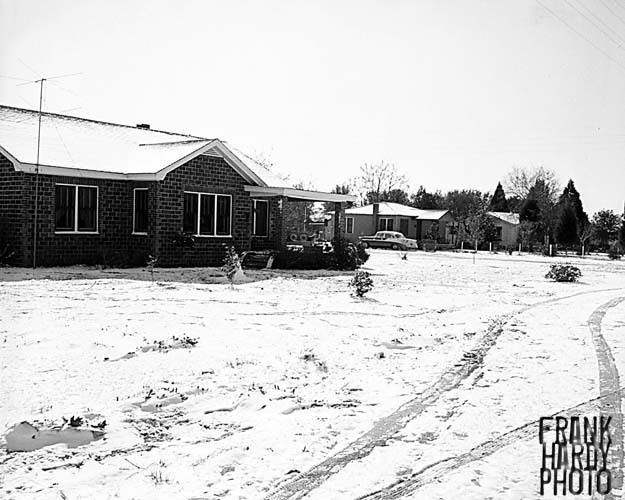 This is a panorama that my father made of NB Cook school in February 1955 when it snowed so hard. I have posted quite a few images from this ” snow storm ” and I still have a lot more to post and I have a few that I have not posted on either the old blog or on this one. Thanks for looking and if you have memories to share about this snow from this time, please let us hear from you. I was only two when this happened and I am in some of the photos, but at that age, I obviously do not remember a thing.